Home » Automation Ideas » Killer Home Automation Ideas in 2018! Killer Home Automation Ideas in 2018! Starting your home automation can be a herculean process with a lot of questions bothering on where exactly you can start from and what exactly you should get. Other mind-boggling questions might include, how much you should set aside for your home automation project and if you are working on a budget, which aspects of your house should you consider automating first. Today we will be discussing home automation ideas using the technologies that are available on the market today as a reference point. I would also be attempting to point you in the right direction as to which aspects of your home you should automate first (except of course, if you are working with a million dollar budget). 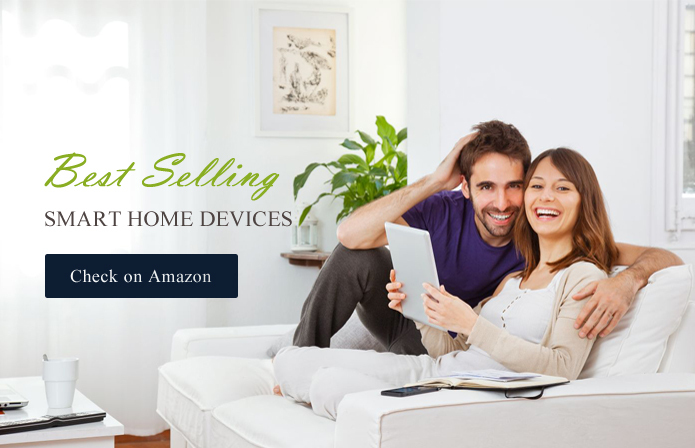 There are tons of home automation devices on the market, from smart home hubs to universal remotes to security cameras and smart house applications, there are hundreds if not thousands of these products on the market. However, not all these products can be trusted, and as a matter of fact, even some of the trusted products may not speak to your needs if you are looking to set up a house automation system. So what is the way out? 2 Different Home Automation Ideas. The easiest way out is for you to have an idea of the kind of home automation system that you want and more importantly, to know which aspects of your home you would like to automate. Seeing that you are already on this informative post, you are on the right track to getting your home automation ideas, and we will get down to business without further ado. Security cameras have been around for a while. But security cameras that can perform smart functions and help you secure your home even when you are away are pretty new on the scene. Starting your home automation with security devices is a smart idea, after all, what use will those smart devices be if they are not secure? For security automation, I recommend any security camera that automatically uploads videos to the cloud in real time thereby giving you access to watch your home from anywhere in the world given that you have an internet connection. To further solidify your security system you can buy any of the alarm systems like iSmartAlarm that automatically alerts the neighbors and passers by when there is an unusual movement around your house. Related Reading: iSmartAlarm vs SimpliSafe 2: Which Will Be A Better Option? I knowingly put this home automation idea right next to security because they compliment each other. With smart light systems, you can further strengthen your safety. When you are away on vacation, you can set processes for the lights so that they can come on at certain times thereby giving the illusion that there is somebody in the house and as a result, discourage prospective intruders. Away from the security function of the smart lights, you can buy lights that come with sensors that detect when you enter a room and automatically turn on the light while turning it off as you exit the room. Even the doubting Thomases of technology would agree with me that having a smart light is way better than groping against the wall and searching for the light switch in the dark. Besides, we all know the good that automatic lights will do for our aged parents and physically challenged loved ones. While these devices will not automatically help you to repair leaks and damages in the house, they can, however, help you detect leaks in the pipes and send you a message to get it fixed before it degenerates to a full-blown disaster that would require a lot of money to repair. To me, getting products that help you in the maintenance of your home is a no-brainer given the amount of cost and stress that it could help you save. There are products on the market that can detect smoke, water spillage, and even gas leaks. It would be fantastic if you consider this among your home automation ideas. Imagine yourself watching an interesting sitcom in the sitting room while you are making dinner in the kitchen. The sitcom is getting to an absorbing point, and if you leave, you might miss the whole point of the drama but remember that your food is already getting done and could start burning any moment from now. Of course, reason should prevail over entertainment, and you should drag yourself to the kitchen to get your food off the stove, but God knows that you wished there was an app you could use to switch off the stove while you continue with your sitcom. Wait, what if I tell you that there are devices on the market that can help you automate your cooking? With these devices, you can set timers for your stoves and boilers to turn off, reduce the heat and even straight out switch them off while you are buried in your sitcom! There are AI smart cooking devices that detect when your food is done and automatically switch off your cookers. Automating your kitchen is something you should look into if you are looking for home automation ideas. We hear that the television as we know it might become obsolete in the coming years with the development of augmented reality systems. But before that gets here, what we have on the market are smart televisions that have internet connections and have the ability to “learn” your TV preferences and respond accordingly in the way you switch channels, the programs you frequently watch etc. these televisions also have the ability to download the newest movies online for you to watch. Asides the tv, we also have sound systems that choose which type of songs to play for depending on the time of the day, weather conditions and “mood” of the room. These systems are very useful for times when you don’t feel like pressing a damn button and still want your preferred songs playing on your sound system. When it comes to media and entertainment home automation ideas, the possibilities are endless, and I strongly advise that you cut your coat according to your cloth. The above listed are just meant to give you an insight into home automation ideas. However, I would advise you to research products based on how mch you are willing to commit to your home automation and also look into which aspect of your home you would like to automate. I wish you all the smartness in the world as you look to automate your home. These are great ways to update homes and integrate smart features. Thanks for the info, I’ll be sure to share with my clients who’re looking to update their homes before they sell.